The difference between X-Rays and visible light rays is the energy level of the individual photons. Most of the time the objects that are analysed are located on a conveyer belt and moving through an X-Ray beam. X-Ray photon detectors capture the transmitted x-ray photons after have passed throughout the objects on the conveyor belt. 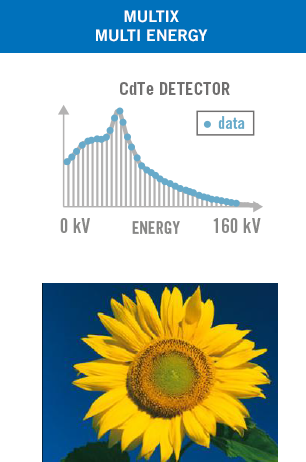 The ME100 counts the transmitted photons and measures their energy at 8 bit resolution (256 energy “bins” or levels). 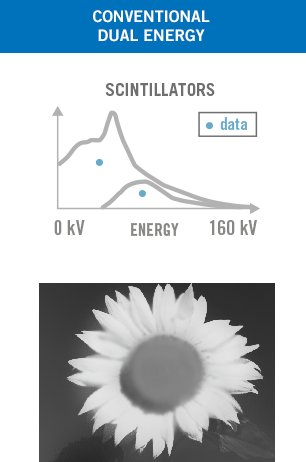 This enables the attenuation spectra to be obtained for each object on the conveyor belt. 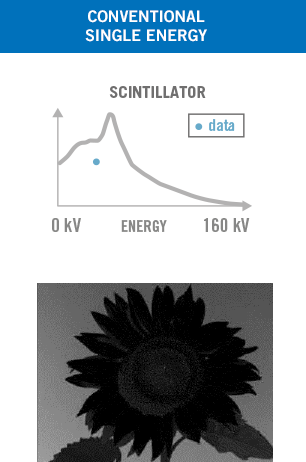 Having the complete x-ray attenuation spectra of different objects in the image enables objects with similar atomic composition to be discriminated. ME100 system provides real time capabilities to count x-ray photons at high flux levels and precisely measure the energy of each photon. 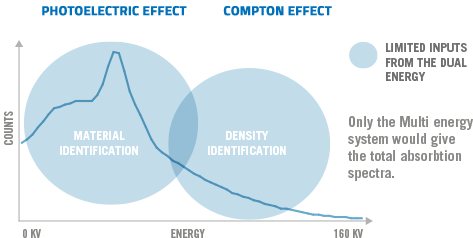 The system thereby enables attenuation spectra to be reconstructed over 256 energy bins between 20 keV and 160 keV. 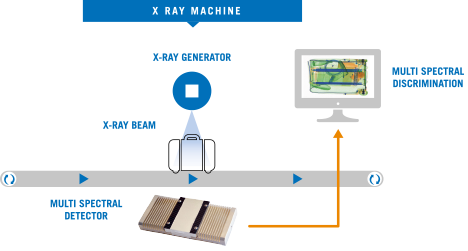 Thanks to the high spectral quality, material specific x-ray signatures can be measured with significantly increased accuracy and precision giving rise to improved material discrimination and identification. Current maximum counting rates range from 6 to 8 mega photon counts per second per square millimeter. This makes this technology compatible with most of the transmission “linescan” x-ray imaging technology in terms of belt speeds and x-ray photon flux.